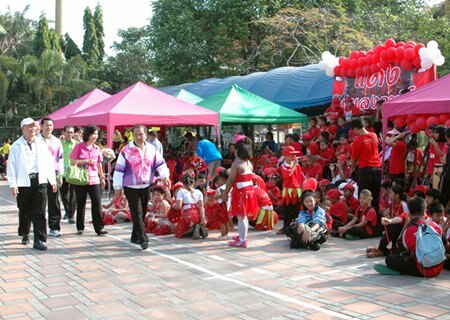 Pattaya School No. 1 brought lesson learning to the playground with its annual Sports Days. 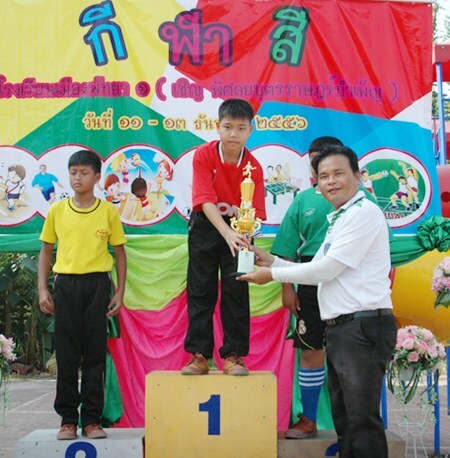 Deputy Mayor Wattana Chantanawaranon opened the Dec. 11-13 competition, which saw students split into four squads to compete in football, volleyball, tennis, rattan ball, petanque and other outdoor sports. 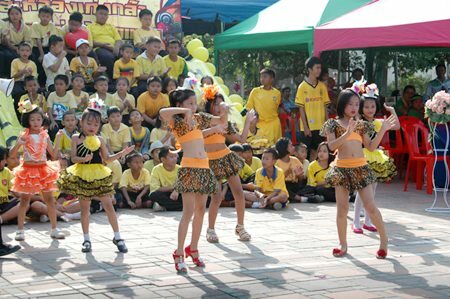 Wattana sports days, held by all city public schools, are an important part of developing better health in students. The competitions help children learn good sportsmanship, preparation, teamwork and forgiveness, he said. 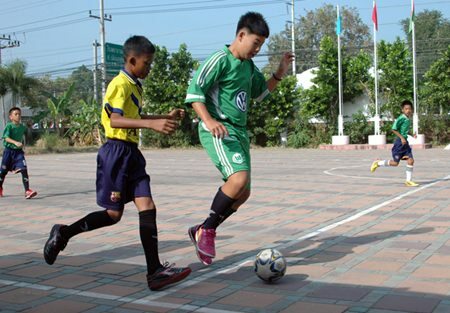 In addition, Wattana said, students will pass on these lessons to younger pupils with some even becoming professional athletes later on in life. 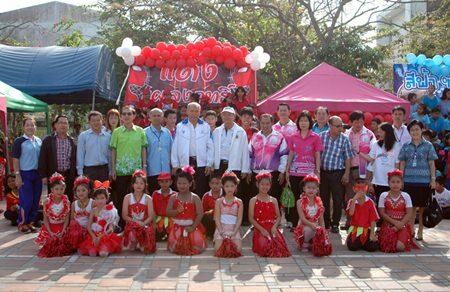 Deputy Mayor Wattana Chantanawaranon, along with city councilors and teachers pose for an opening ceremony photo with students. The deputy mayor and councilors tour the sports ground. 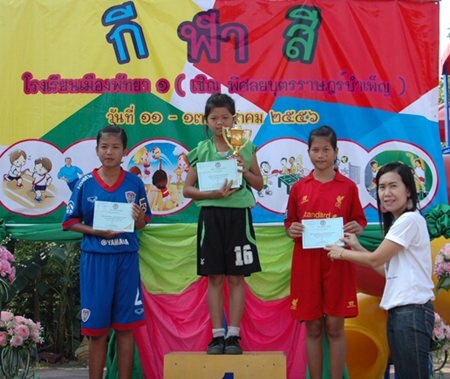 Competition winners are feted with trophies. First place receives a big trophy. 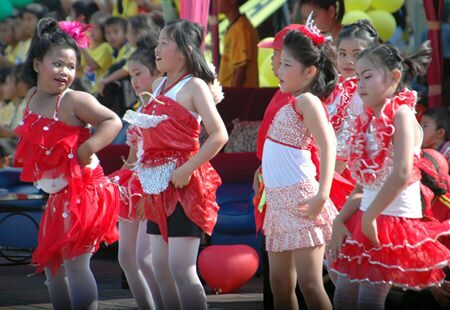 Red team cheerleaders dance their best moves. Cheerleaders lead on the yellow team.